The jailbreaking community is something I love – you can always bet that if there is something you wish your iPhone, iPad, or even iPod Touch did that Apple just didn’t quite implement, that somebody has created a nice little Cydia tweak for you to install. Pluck is no different, this free tweak from Cydia allows you to navigate through all your songs to pick one to play right from your lockscreen. Don’t you just hate it when you have to unlock your iPhone whenever you want to select a song to play? iOS has given us Lock-screen iPod controls but not the ability to pick a song from the lock-screen. That’s why I created ‘Pluck’. It’s a simple jailbreak tweak that adds a button in the media controls view. 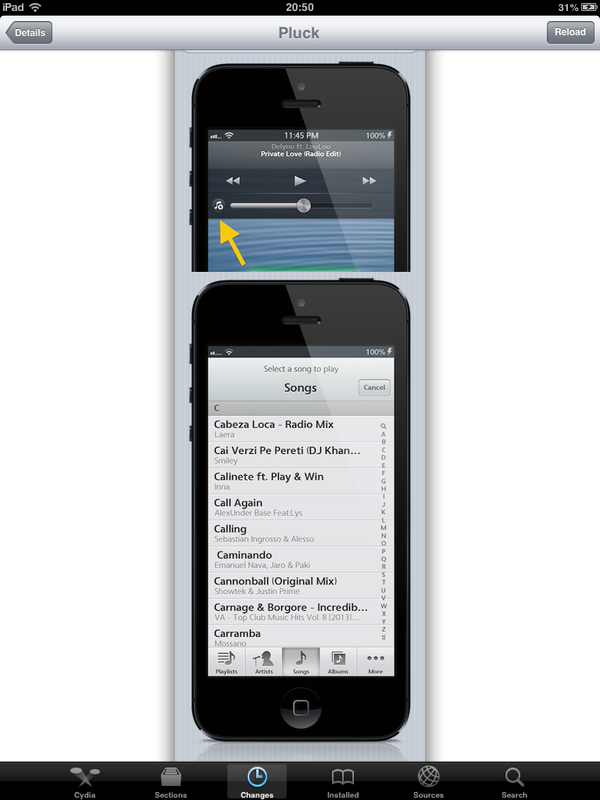 When you tap it, it will release the iPod window right there to quickly pick a song. After picking a song, it will instantly start playing. Awesome, isn’t it? Pluck is a free plugin, available in Cydia right now and will allow full navigation from just the lockscreen to your entire music library on your Jailbroken device. Pluck is also configured from within the Settings.app so there are no extra icons placed on your homescreen when you’ve downloaded it. 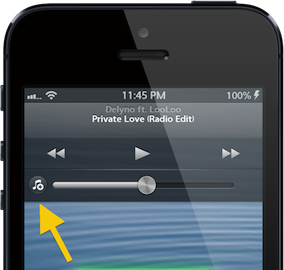 Simply double tap your home button to bring up the music controls – as Apple intended – and you’ll see an additional button as indicated by the arrow in the above picture; just hit that and viola, your entire music library at your disposal, without even having to slide to unlock. As mentioned, Pluck is completely free and is available right now in Cydia, so go ahead and fire up your Jailbroken iDevice and search for ‘Pluck’. If Pluck is something you’ve been longing for, we’d love to hear about what you think of the tweak in the comments section below.